It’s what I dreamed about! 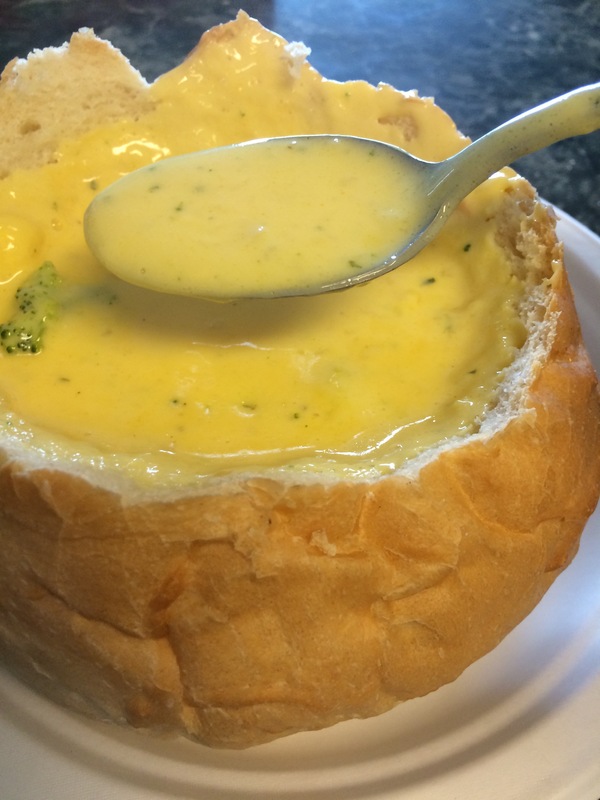 I woke up the other day with a craving for this soup inside a delicious bread bowl. Luckily for me the local grocery store carries fresh made bread bowls, and I found a recipe for the soup. Within minutes, yes minutes I had mouth watering soup steaming inside a delicious bread bowl. My picky eater son would not touch the soup. However he would dip the bread into my soup and eat that. Weird!! This was perfect on a snowy blowy morning. I think it will freeze well to be enjoyed many times through the winter. 1. 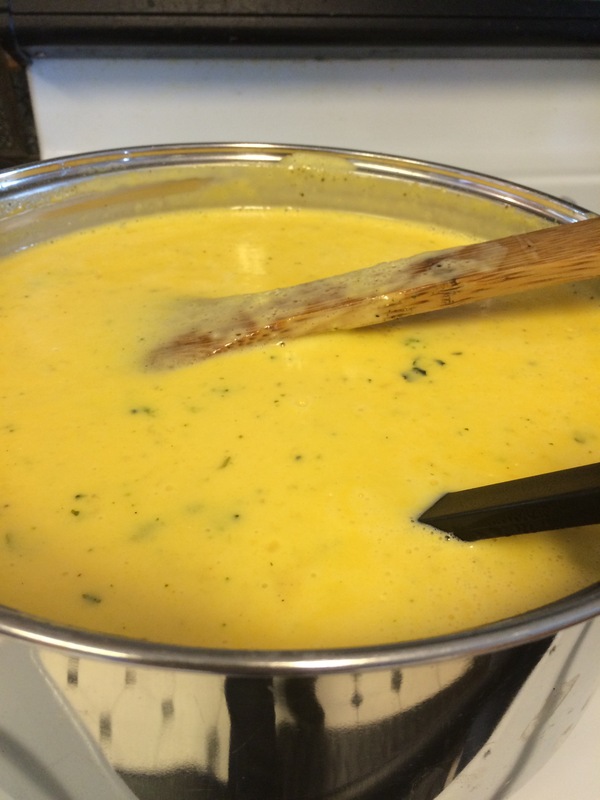 Melt butter in a large soup pan. Toss in onions and sauté until tender. Stir in the broccoli (depending on how much broccoli you want add 1 or 2 bags) and cover with the chicken broth. Simmer until the broccoli is tender, about 15 minutes. 2. Reduce heat, and stir in the cubed cheese. Stir until completely melted. Paying careful attention that it is not sticking to the bottom of the pan. 3. Add the cream. Stir to combine. Next mix the cornstarch and the water. Add to the soup mixture. Stir to incorporate. Stir often until thickened to your liking. Add the garlic powder, salt, and pepper to taste.